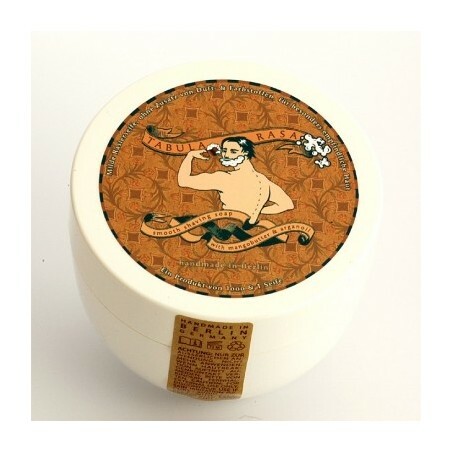 Tabula Rasa Herbal Soft Shaving Soap 90g. Tabula Rasa shaving soaps are handmade with 100% natural ingredients. Enriched with mango butter, Arganoil, shea butter and barley extract. It contains a lot of linoleic acid, used to soothe the itching and irritation. Herbal Fragrance: Eucalyptus and aromatic herbs. Vibrant and slightly spicy touch.